Nineteen Guides from across East Lothian have had the chance to learn from some of the world’s top golfers in an exclusive lesson at the Aberdeen Standard Investments Ladies Scottish Open. 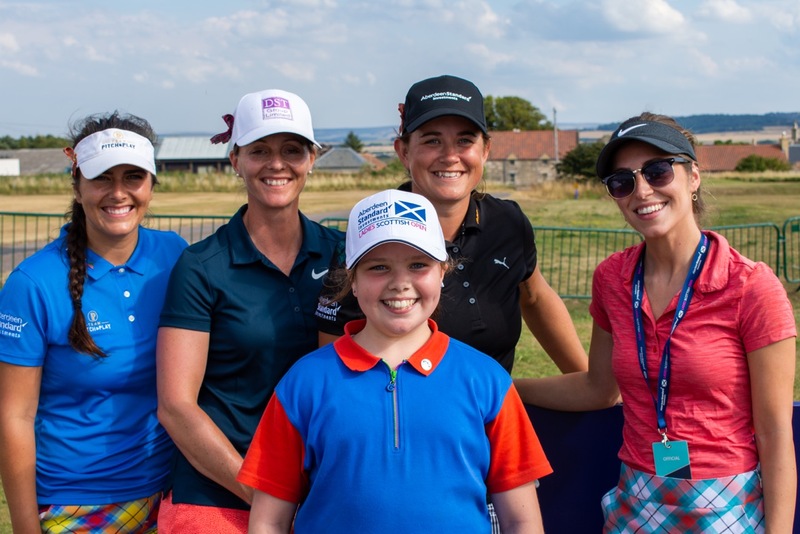 Scottish golf professionals Kelsey MacDonald, Michelle Thomson and Vikki Laing – who all competed in the hotly-contested tournament at Gullane Golf Club this week – taught the girls the fundamentals of the game in an hour-long driving range session. Aged between 10 and 14, the Guides gained hands-on experience with the pros and were able to quiz them on their sporting careers before seeing the action unfold out on the course during the tournament. As the leading charity for girls and young women in the country, Girlguiding Scotland offers girls age 5 and up the opportunity to enjoy new experiences, develop their skills, grow in confidence and reach for the stars through an action-packed programme of badges and activities. During the session, the Guides gained sporting experience to count towards the brand new Fitness interest badge. 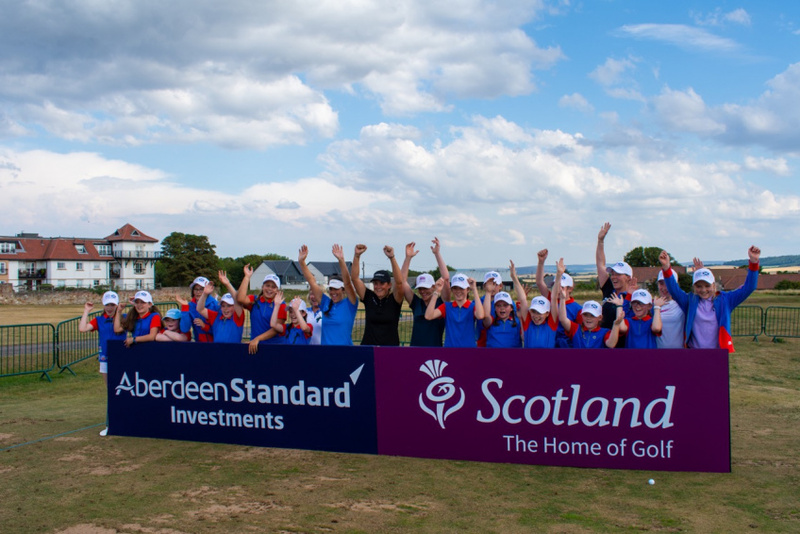 Martin Gilbert, co-chief executive of Aberdeen Standard Investments, adds, “It is very encouraging to see the enthusiasm with which the Guides threw themselves into their lesson with the professionals at the Aberdeen Standard Investments Ladies Scottish Open. They are a credit to their organisation and great ambassadors for girl guides across the country. The Guides’ lesson at the Aberdeen Standard Investments Ladies Scottish Open shows just how far the sport has come, with the golf course once being the domain solely of men. During their session, the girls also met The Jazzy Golfer, a blogger whose goal is to inspire more girls and young women to take up the game. The Aberdeen Standard Investments Ladies Scottish Open takes place from 26-29 July at Gullane Golf Club. One of the premier events on the Ladies European Tour and LPGA Tour, South Korea’s Mi Hyang Lee will return to defend the title she won at Dundonald Links in 2017.  The tournament will offer a feast of golf for the purists, while also being the perfect day out for all the family, with fantastic food and drink outlets in the championship village, an opportunity to learn how to play the game at the Golf Show, in addition to music and retail experiences.